Responsive design is fast becoming standard practice for many websites, especially in ecommerce. It’s been shown to increase your sales, search engine ranking and most importantly better your customer’s experience. So how does it do this? Well, we have the answer right here. The benefits to responsive design are huge. Firstly, you only have one website; there’s no more need to maintain individual websites for mobile or tablet, but just one single set of templates. The CSS changes how the content is displayed rather than you physically having to adjust more than one site. 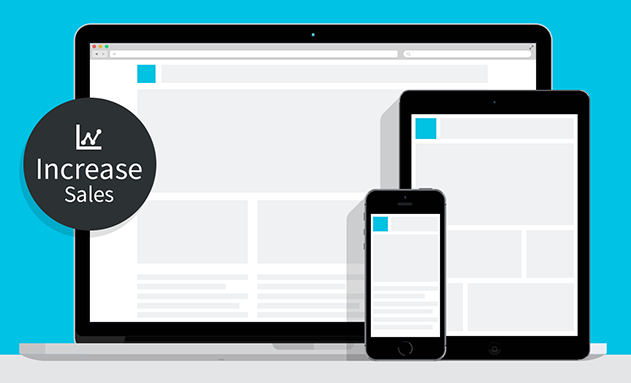 Responsive design aids great user experience no matter what device you’re browsing on. Whether a mobile, tablet or desktop your customers aren’t hindered or prevented from accessing your website. That means that your sales are more likely to increase as consumers browse your website on the go as well as sat behind a computer at work or home. Another benefit is the improved visual element. Using as many break points as you decide, the responsive nature ensures your website fits perfectly to the screen or browser of whatever size of device your customer is using, be that Smartpone, tablet or desktop. Whether Apple or Windows, iPad or Kindle, iPhone or Android – your customer can access your website anyhow they choose. The positive user experience generated from this easy transition between devices serves to strengthen your brand and conversion rate. As with anything, there are potential issues with responsive design, but all of these are fixable. Speed can often pose a problem, particularly with regards to mobile devices. Often the reason for this is large images, which may look fantastic on a desktop version of the website, but on a mobile device simply aren’t needed. By using tools such as Foundation’s Interchange this needn’t be a problem. Images can be resized and even omitted allowing for a speedy mobile website. Before responsive design, a mobile website and a desktop website were often two separate entities. Both often designed for fixed dimensions, particularly mobile, but now with phones and tablets available in a variety of dimensions, this method is obsolete. For example the iPhone 5 has roughly a 4inch screen where as the new iPhone 6 and the iPhone 6L have dimensions of 4.7 and 5.5 respectively. Using the old method of displaying content, catering for all of these variations in screen size, and more importantly pixel values, would have led to poor user experience; incorrectly sized websites or inconsistent data between the various versions of a website. Viewing a website on a mobile device and suddenly realising that you only have a fraction of the content available to you is frustrating. But with responsive you don’t have to limit content! You can easily allow for full functionality on a mobile with top user experience so your conversion rates keep building and your bounce rates fall. A perfect example of this in relation to Purveya is product list filters. Even with responsive design, many people often limit functionality. At Purveya we believe that if functionality is available on one device, it should be available on all. So how would you interact with filters, such as size or colour, on a mobile? Often people will just get rid of them. Instead, we decided to simply display it in a different way, making it into a collapsible menu to retain functionality and enhance user experience on mobile devices. Responsive websites tend to fare better in terms of search engine ranking than those that aren’t optimised. Google itself recommends responsive since they claim their aim is to ensure good user experience and in order to do this want to send users to websites they will want to see and return to. 61% of visitors will return to Google to find a site that is easily readable and they rank mobile-friendly sites far higher than those that aren’t optimised. Websites that are responsive also rank higher due to more efficient link building. If someone makes a link to your website, this counts as a link to your mobile and tablet friendly websites. So when a customer makes a search via their mobile, your site is more likely to rank higher and your sales are more likely to increase. Without a doubt, responsive design is the best way to go with any ecommerce website. Enhancing user experience on any device is so important in a world where so much internet browsing takes place away from a desktop. As well as making site maintenance far easier from your point of view, your customers can receive full functionality and enjoy a high quality user experience. Don’t believe us? Try it and watch your conversion and sales rates soar. 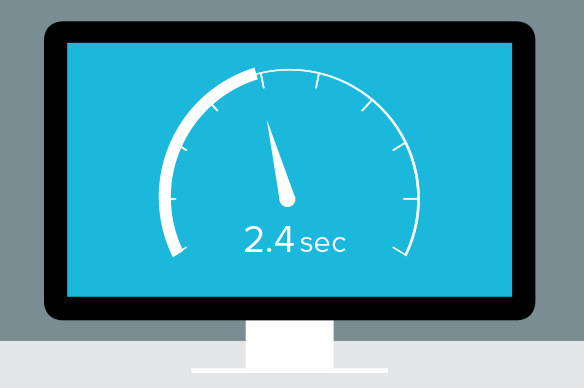 The speed of your ecommerce website affects not only your rankings in the search engines but also your sales. So how does this happen?